Kiva’s mission is to connect people, through lending, for the sake of alleviating poverty. The non-profit organization empowers individuals to lend to an entrepreneur across the globe. By combining micro-finance with the internet, Kiva is creating a global community of people connected through lending. At BTCG we are dedicated to supporting small businesses, and as such some good % of our proceeds go to supporting small businesses on Kiva. To date we have lent to 75 entrepreneurs. You can visit our Kiva lending page to see how the loans were utilized. This kind of charitable support is extremely rewarding and we encourage our clients to support other small business owners in developing countries too. We support the work of Kiva.org, which allows loans to be made to micro-finance institutions who help build sustainable businesses that provide income to feed, clothe, house and educate someone in the developing world who needs a loan for their business – like raising goats, selling vegetables at market or making bricks. 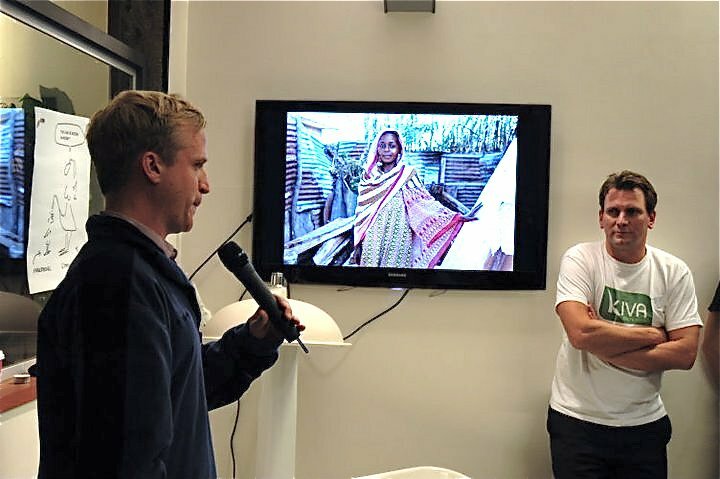 Kiva is creating a global community of people connected through lending. With that being said, if you have never taken a look at Kiva then head on over (( here )).